Summer ends, eventually, and that’s when the hockey starts. If the months before that happens seem to go on forever, what can you do but keep yourself trim? 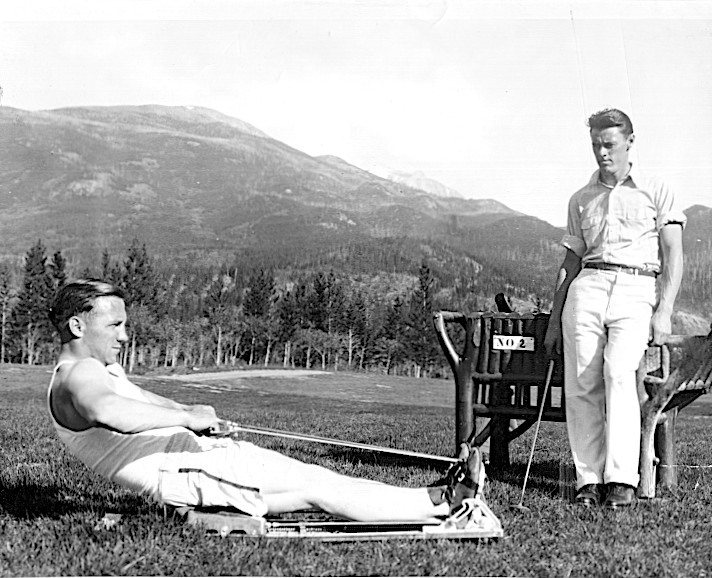 That’s Leo Bourgault, above, on the rowing machine, at Alberta’s Jasper Park Lodge in July of 1931. Born in Sturgeon Falls, Ontario, he’d started his NHL career in Toronto in 1926 before moving on to the New York Rangers for five seasons. 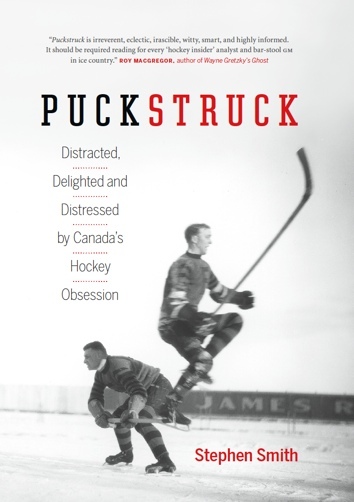 He played the 1930-31 season for the Ottawa Senators; later he joined Montreal’s Canadiens. Spotting him, golf club in hand, is Bud Cook, brother of the Rangers’ famous Bun and Bill. He’d spent the previous season starring at left wing for the Providence Reds before Boston manager Art Ross came calling to buy him for the Bruins. He only lasted a season there. His other NHL stints were in Ottawa and St. Louis before he settled in to a lengthy career with the farm-league Cleveland Barons.